From the very first issue of ManSpace Magazine, we have been avid supporters of the men’s shed movement. In our existence we have seen this uniquely Australian concept continue to grow at a rapid rate: there are now more than 800 sheds registered with the Australian Men’s Shed Association (AMSA), up a staggering 500 sheds from only three years ago. For those who have not been involved or heard much of the men’s shed movement, it has proven to be an effective way of engaging men in their communities. These sheds create a comfortable environment for men to work together on meaningful projects while sharing skills and camaraderie with other men. The underlying theme is that sheds are a unique wellbeing and health initiative. By giving members a place to socialise outside the home (or pub) and encouraging them to remain active, the shed environment acts as a prevention strategy in reducing the risk of social isolation. It starts from what men can do rather than what they can’t do, and that is for all men of any age and situation. If the local growth alone was not evidence of its success, we should all be very proud that other countries are actively seeking support from Australia to develop their own men’s shed movement. Back in June, AMSA executive officer, David Helmers, embarked on a tight schedule of shed tours and forums through Ireland, the UK and New Zealand to increase communication and support of the men’s shed movement throughout the world. “I think the whole globalisation of the men’s shed movement is the best evidence that it works,” says David. The tour followed last year’s official AMSA Conference in Brisbane, where there were a number of international delegates. With the formal establishment of the Irish Men’s Shed Association (replicating the objectives of AMSA) and with the New Zealand, UK and Canadian Associations under development, delegates from all four nations held a brief meeting at the conference and agreed to the concept of forming an alliance to be called the International Federation of Men’s Shed Associations (IFMSA). The aim was to replicate the founding principle of AMSA and to freely share information. Since then, AMSA has continued to disseminate information abroad via electronic means and is seen as the lead agency in the development of the IFMSA, although to date no formal agreements are in place. Over the past two years, AMSA and individual men’s sheds have hosted a number of international visitors and have received a number of invitations to attend events in other countries to make presentations to educate on the broader men’s shed and men’s health subjects. However due to limited resources, the huge commitments of AMSA nationally and the increasing demand on resources, these were never actioned by AMSA until June 2012 when the Irish, New Zealand and UK organisations were each able to coordinate national events. And with the financial support of the Irish Men’s Shed Association and AMSA sponsor Fair Dinkum Sheds a journey oversees became a reality for David. 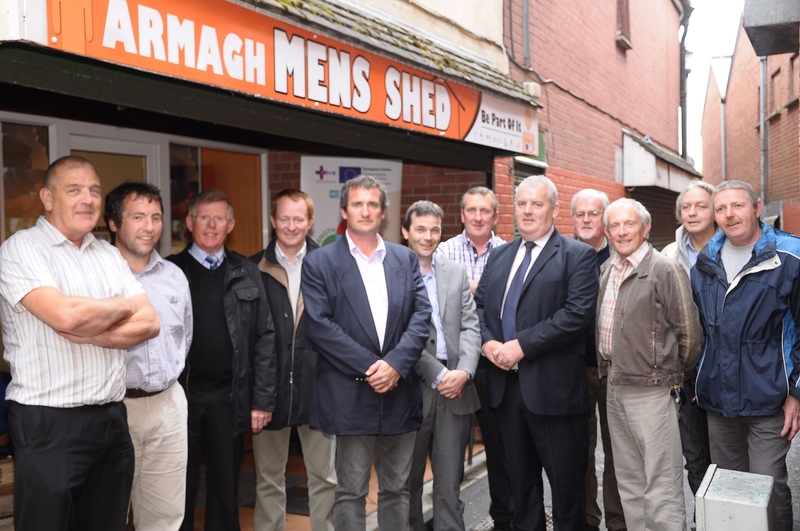 Since the formal establishment of an Irish Men’s Shed Movement, the total number in the Emerald Isle has grown to 82 sheds (as of August 2012). David visited nine sheds in his travels and says he was immediately struck by how the average age was considerably lower than sheds in Australia. “The explanation for this clearly lies within the difficult economic situation with Ireland having an official unemployment rate of 25%,” explains David. As part of David’s duties, he gave a 30-minute speech on the development of sheds, Men’s Health and the Australian Male Health Policy from which AMSA was funded. “One of the main highlights of the visit was in the town of Gore where I participated for 4 days of a 10 day forum consisting of 22 delegates from 13 countries including Lithuania, Greece, Turkey, Zimbabwe, England, Scotland, Ireland, Wales, Italy, Spain, Germany, France and Belgium. Delegate backgrounds included social workers and health workers for NGOs and government agencies. “One of the key outcomes of the participant’s final presentations was the admiration of the men’s shed movement in Australia as an effective way of engaging men within the community and the recognition of the Australian Government’s foresight in developing a male health policy to address the specific needs of men,” David says. Unfortunately, formal plans in the UK were cancelled; however David did still attend a small gathering in Camden and contributed heavily in discussions to establish a UK Men’s Shed Association. David completed his whirlwind travels in Wellington for the second New Zealand Men’s Shed Conference, where he was applauded for his help in the development of the NZ Association. The Association had been trying to develop for some time and was often delayed substantially by reoccurring issues. The AMSA presence at the meeting was able to resolve many of the issues with practical advice from lessons they have learned over the years, and the Association is now on track for an expedient development. From this short tour alone, it is easy to see the growth of sheds internationally. Interestingly, it appears to be most prominent in English speaking countries where the phrase ‘men’s sheds’ has a similar meaning. In other countries the name is being replaced with a similar phase, for example in the United States they are being referred to as ‘Men’s Dens’. Furthermore, interest is growing in the men’s shed concept by countries from non-English speaking nations in Europe. It is anticipated that nations such as Turkey, Greece, Spain and Italy will soon join the list of nations developing men’s sheds, with the concept being not only accepted but praised by other countries as being an effective way to engage men within the community while preventing social isolation. Men’s sheds in the visited nations are also actively engaging in men’s health programs such as health checks and information events with positive results. Witnessing first-hand how other countries are using the shed philosophy is undoubtedly valuable, however we should also be particularly pleased and proud in how Australia is leading the world and providing support to others. While David is very quick to recognise the support of the Australian Government and the value of the National Male Health Policy, there is no doubt that our local shed movement needs help. “Governments around the world are looking at this and recognising it as a very affordable way to engage with the community and improve overall well-being,” says David. When you think about it, if any business had experienced 250% growth yet managed to get by with the same operational costs, you’d either be waiting for them to float on the stock exchange or you’d be worried that it would be about to go broke. Sadly, it’s leaning towards the latter. The men’s shed movement is a great Australian initiative – so good in fact that the rest of the world is copying it. It definitely needs more support as the funds can’t stretch much further. 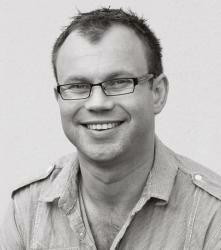 Writer and ManSpace Magazine founding editor, Jonathan has a passion for MGs and stop-motion animation.